The Democratic Alliance calls on all members of our communities within the Eastern Cape to protect themselves and be responsible during this festive season. Tomorrow, we commemorate World Aids Day and pay tribute to all of those who have lost their battle with the HIV/AIDS virus. UNAIDS has announced the theme for this year, “Hands up for #HIV prevention”. I urge the youth of the Eastern Cape to abstain from sexual activity for as long as possible in order to reduce their risk of contracting the HIV virus. SANAC reports that 10.9 % of females between the ages of 15 and 24 are infected with the HIV virus in the Eastern Cape and according to the National Strategic Plan on HIV, STI’s and TB 2012-2016, young women within the 15-24 year age-group are four times more likely to get infected with the HIV virus than males within this age bracket. Pregnant women and abuse survivors within this category in particular are at a high risk of infection. Sexual coercion of younger women by older men in the ukuthwala custom has been a long-standing issue in our society and a contributing factor to new HIV infections. The ukuthwala custom has now been incorporated into the Trafficking Act in South Africa, I urge community members to be vigilant and report suspected cases of abductions. 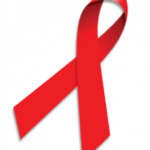 The responsibility of educating our youth on HIV/AIDS should start in our homes and in our schools. In this way great strides can be made to decrease stigma related to HIV as people will be knowledgeable about the disease and the great achievements made towards the prevention and treatment of HIV/AIDS.